There are few places in the world where tea is harvested from full-sized tea plants. On most plantations the camellia bushes are maintained at waist height. However, in regions where Pu Ers are produced, as well as here on Feng Huang mountain (China), the leaves of large tea plants are considered to have a superior aromatic quality. If you have never tasted them, I suggest you try Dan Cong Wu Long as well as the oxidised Dan Cong – both are exceptionally subtle. 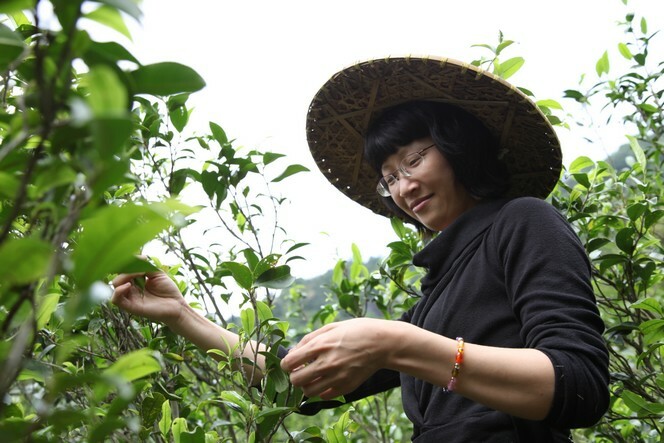 They come from these large tea plants and were plucked by Mrs Huang, pictured here hard at work. A tea plantation, a farm that produces tea, is a whole world in itself. Wherever tea is grown, wherever it’s processed, there’s both an agricultural aspect and a human aspect….